The Museum's big move to Vineyard Haven is now underway with construction slated to begin in early 2017. As design lead, OEA is playing a central role. A great new article in the Winter-Spring edition of the Martha's Vineyard Magazine charts the ongoing transformation. Read more here. Private fundraising for the Martha's Vineyard Museum is on track thus far. Click here to read the Vineyard Gazette's June 29th article covering the event. Martha's Vineyard Museum Concept Complete! Concept design is now complete for the Martha's Vineyard Museum. This concludes the initial design process of the renovation and addition to the 1897 Historic Marine Hospital, a site that was purchased as a result of recommendations made in our 2011 feasibility study for the Museum. See plans and renderings of the design on our project page. 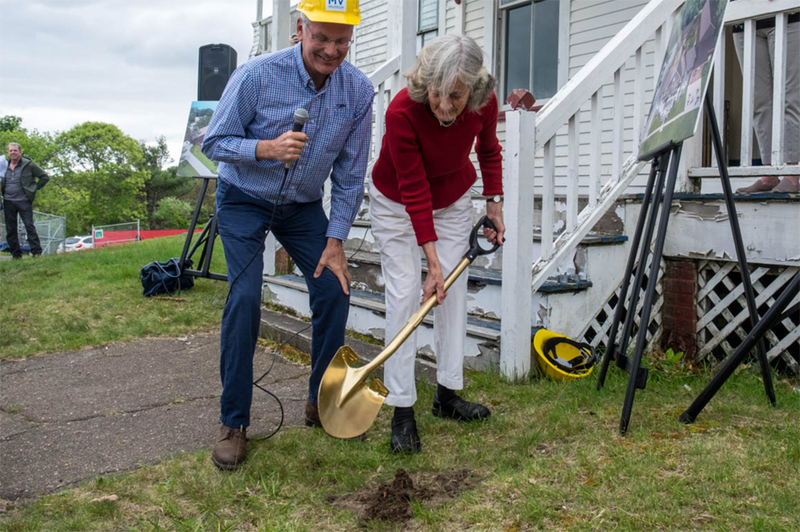 OEA’s selection as architect for the new museum facility was announced at the gala event, located on the front lawn of the Marine Hospital site in Vineyard Haven. The Vineyard Gazette describes the event as the largest in its 15-year run.